You all may know that each year in Megabirthday month I undertake an arduous research project into the Mega oeuvre and stardom. 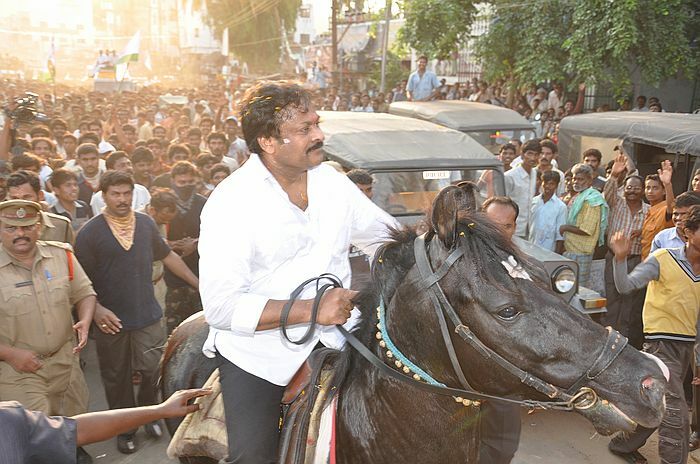 From a tiny pink-frock wearing monkey companion in Sivudu Sivudu Sivudu, to the excellent horse and dog super hero support team in Kondaveeti Donga, The Megastar has long demonstrated an affinity with the animal kingdom. Sometimes the wildlife function only as patient observers as Chiranjeevi strutted his stuff, perhaps in mimickry of a (less bedraggled) peacock. Sometimes the danger was more likely that they would end up sunstruck, or even starstruck. And there was the ever present danger that someone could catch a chill or lose a finger to a sharp beaked and cranky co-star. When someone in the costume department has a sense of humour and someone in the dance department is just plain mean, you get faux animals. Seriously – you didn’t think I’d give up a chance to hit you all with this again? And yet, despite all the everything in this clip, it’s really Chiru’s outfits that make the strongest statement. But sometimes Chiru just had to do it himself, and become the spirit animal of his music. Or something. And you know, snakes. 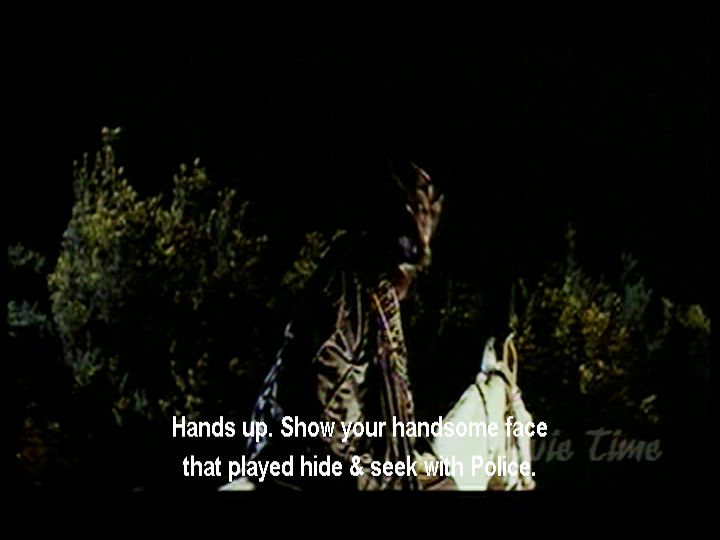 I will never stop loving that snake dance from Khaidi. And of course, Chiru clearly felt that his own charisma was sufficient protection against the effects of working with kids and animals. And finally, innovative use of an avian accessory for the well dressed ladies man appearing in a bedizened song fantasy. “For you will know by the gleaming band upon his brow and the dove upon his shoulder that He Means Business.” He certainly seems to be quite good at aiming a pigeon. Which small mercy Roja might be grateful for at 2m 06s. Just saying. So what are your favourites? Add them in the comments and I will add them to this playlist. This entry was posted in Tollywood and tagged Chiranjeevi, Chiru, Happy Birthday Chiranjeevi, Megabirthday 2016, Telugu. Bookmark the permalink.